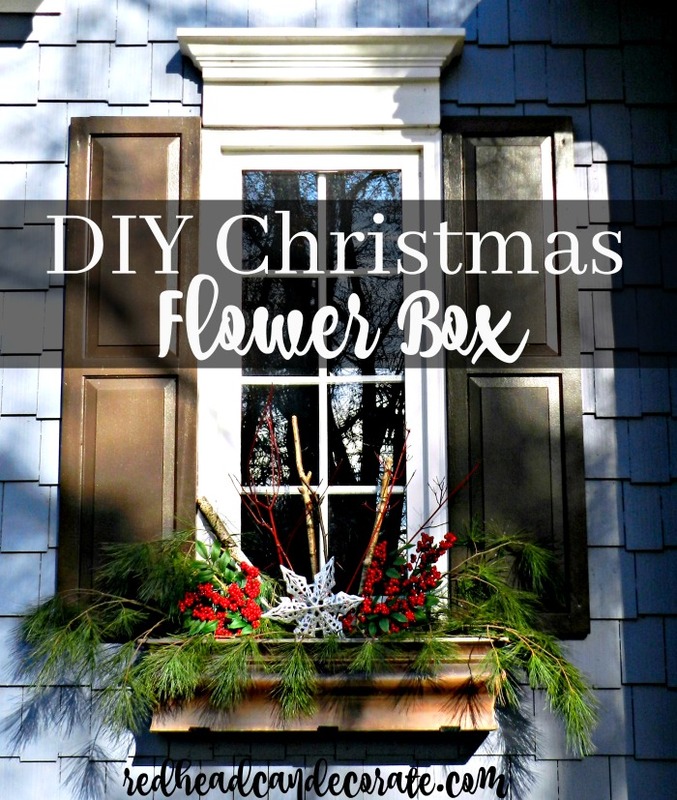 Even if you don’t have a window box to make a “Christmas Window Flower Box”, this can work for you, too. 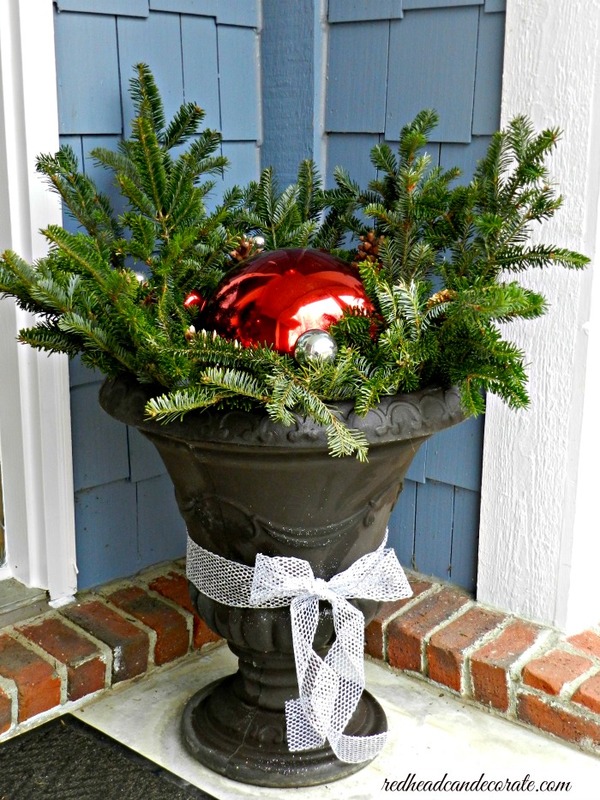 Urns, large pots, baskets, buckets, even an old bathroom trash can that you spray paint can work. 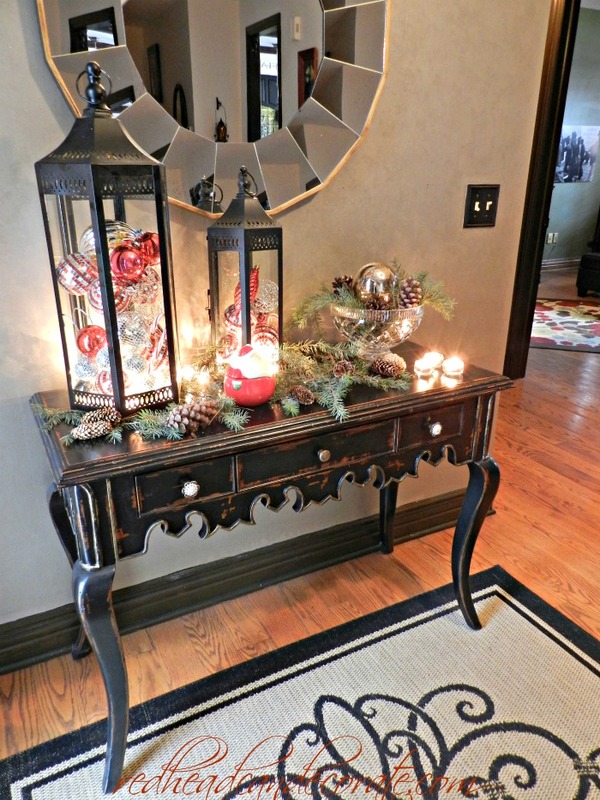 Where there’s a decorator…there is a way! What I’m trying to say, is that you don’t have to have big bucks, or big flower box windows to decorate your home outside for Christmas. 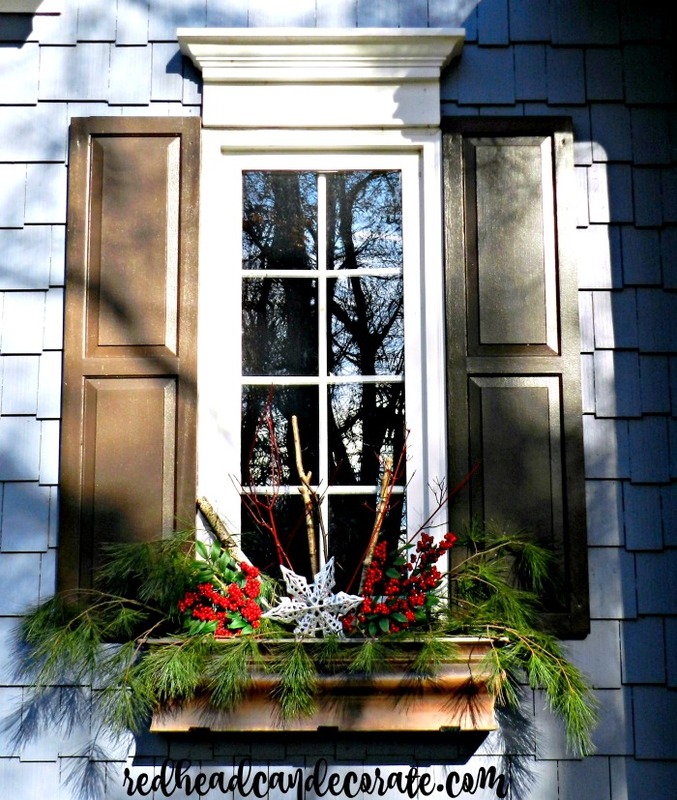 We’ve all seen the big beautiful homes with perfectly decorated flower boxes on every window. Well, yes, it’s gorgeous, but realistically very few of us have that. With that being said…if you do have that, this can work for you, too. HA! So, first let me show you the “DIY Christmas Window Flower Box” I created this year. There are actually two of them…and they are both super easy and free. Oh, and if you live in a cold climate, NO WATERING REQUIRED! -Clear out your dead flowers, but leave soil. Add more soil if low. -Steal, borrow, bribe some free pine greenery. I clipped these branches from a scrawny tree in our yard, but I almost stole some from the cauldesac. Stick it in the center of the soil in the box and lean them to the right and to the left so it drapes off all sides. Water if your soil is dry and you live in a warm climate. You can also water if cold, it will only help keep them green longer. -Now you need color…if you don’t have faux red berry twigs, you can get some HERE, or look around your yard for dried twigs that will work after you spray paint them red. 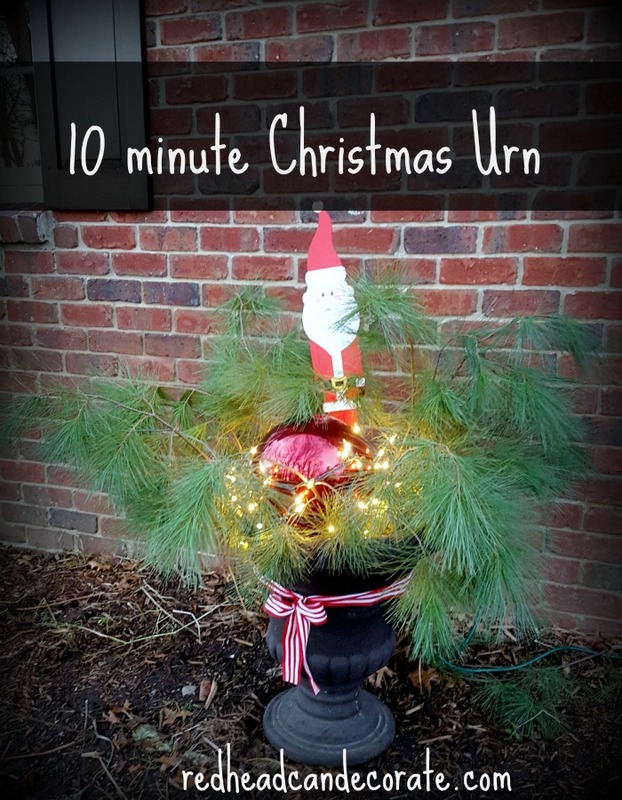 Or, use red Christmas bulbs instead. -The twigs you see stuck in the back going straight up are from our yard. Believe it or not, I have a bush that produces red branches. I used those and birch tree limbs I found in our forest. Just stick them in there so they are spraying up to the sky. You may need more soil for this. -The silver snowflake I had and is from the dollar store. Now, for #2, same idea except I was getting cold and didn’t want to look for more birch branches and I didn’t have another snowflake. I stuck a wooden Santa in there that I had stashed away from a broken decor item. You could stick anything you like in there. Search your Christmas stash and you will be surprised how many things you’ll find. Aren’t those red branches cool? If you want your own, you could always spray paint plain branches red or even white. 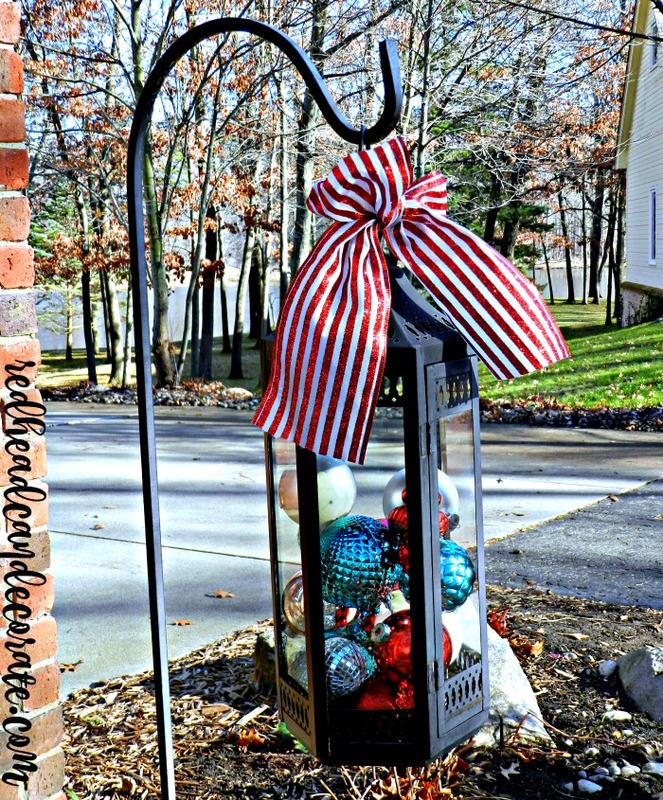 Here’s a cute lantern idea…just fill with ornaments and tie a bow. 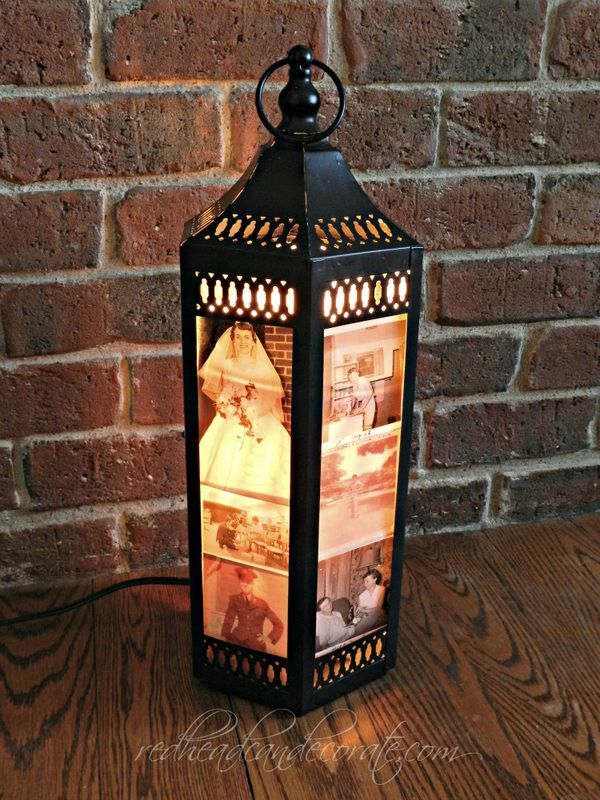 Man, this lantern gets around. Before I go…I also wanted to tell you where I purchased our Christmas greeting cards for the first time this year. It’s a company called “Minted” and I found using their “do-it-yourself” on line photo card design tool to be one of the easiest I’ve ever tried. Now, obviously this is not our family on the card, but I will share our card with you soon. 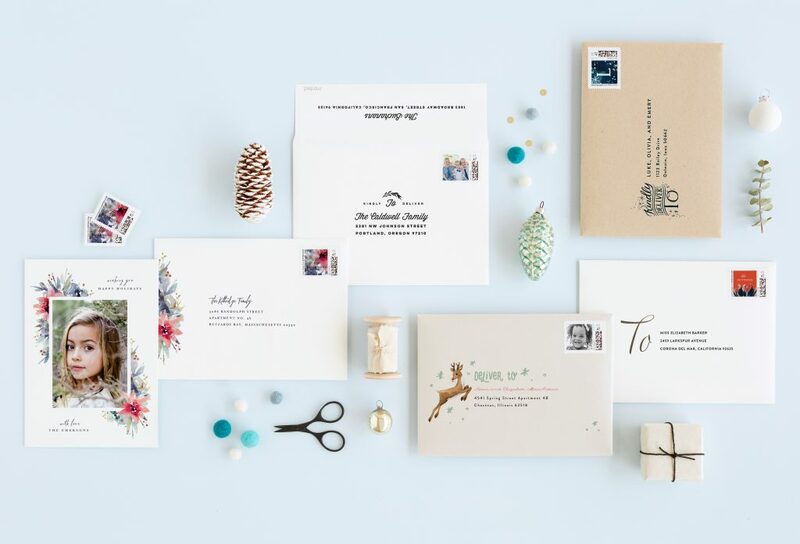 minted.com offers FREE recipient addressing. They are also offering 20% off to new customers…um yes!! * Minted is a design marketplace of independent artists from around the globe. 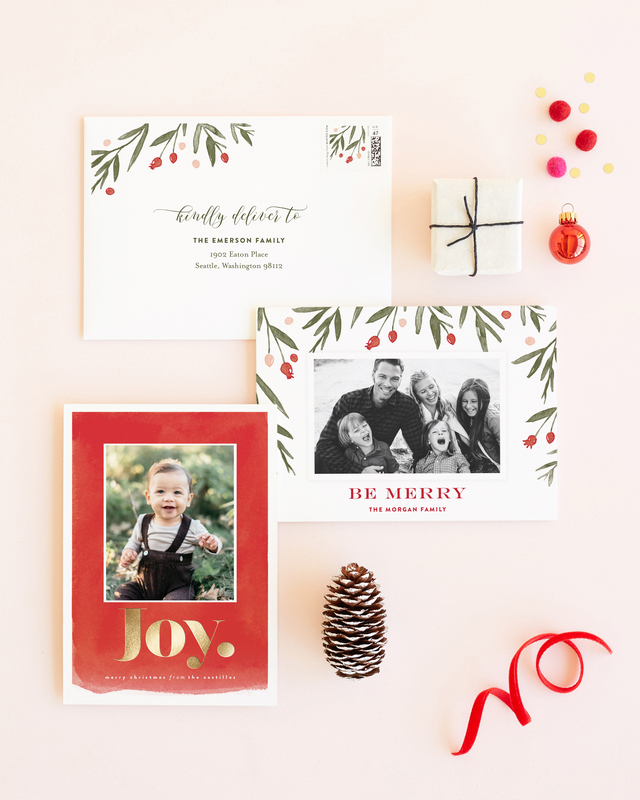 * All holiday cards are available with matching custom stamps, envelope designs and FREE recipient addressing. * Enjoy our FREE concierge address book service. Send us your addresses in any format, from envelopes to lists, and we will build out your Minted Address Book. 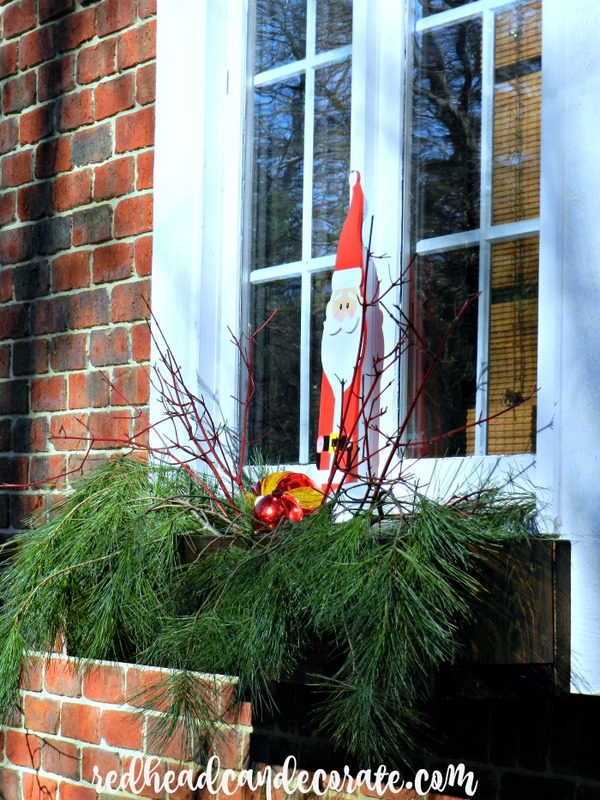 PS: Let me know if you decide to make an easy Christmas window box this year. I would love it if you shared a photo with me.